Proudly serving our Customers since 2004! Check out our newly remodeled Banquet Hall for your next private event! We have been serving the community of Lino Lakes and the surrounding area since January 4th, 2004. Trappers accommodates to meet all age groups. From video games and pool, to watching the live bands or playing some bar bingo. Tappers Bar and Grill is all about family! 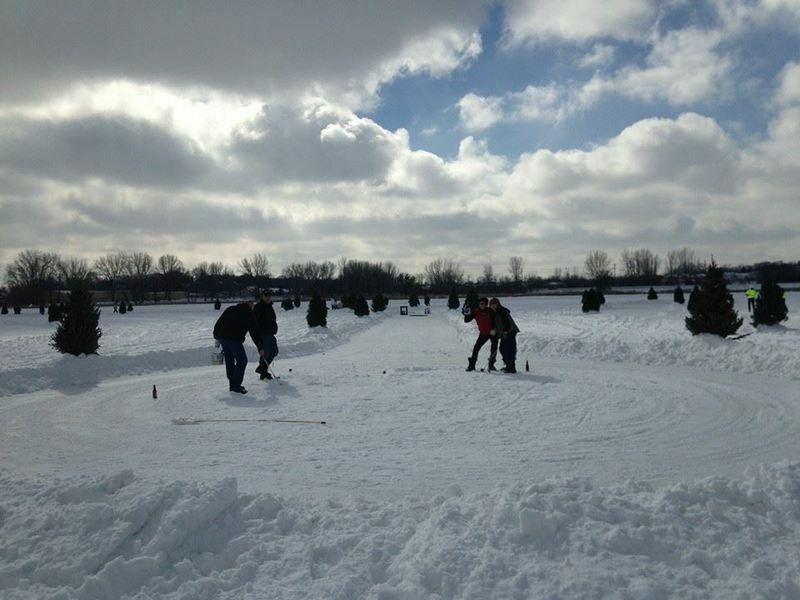 We also host our annual Trappers Ice Golf in the month of February. This is where we take our view of Rice Lake and turn it into a 9 hole golf course on ice! Complete with tee boxes, 80-100 Christmas trees and flags/pins for putting. This is something you, your friends, and family cannot miss out. Check out our Pictures from past years. We also offer a full menu 7 days a week from 11:00AM to MIDNIGHT. Our homemade Breakfast is now offered 7 days a week starting at 8:00AM to 11:00AM Monday - Friday. Saturdays 8:00 AM to Noon and Sunday 8:00AM to 1:00PM. We have a large banquet room in our lower level that seats approximately 150 people. With a full service bar and banquet menu available we can host a variety of events! View Trappers wide selection of food to suit your appetite. We are located just off of Rice Lake on Lake Drive in Lino Lakes MN.